Since the day that Christopher Columbus first observed native Americans 'with firebrands in their hands and herbs to smoke after their custom', tobacco has wound its way into every corner of modern life. In its various forms smoking has soothed and irritated us, inspired and stupefied us, beguiled us on screen and outraged us in train carriages. Robert Burton wrote in The Anatomy of Melancholy that tobacco was divine, 'a sovereign remedy to all diseases'. Nearly four centuries later, the Oxford Medical Companion dryly noted that tobacco is the only legally available consumer product that kills people when it is used entirely as intended. We've come a long way, baby. 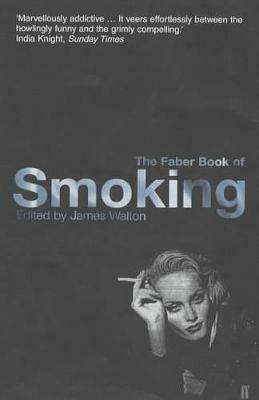 With contributions from the likes of Sir Walter Raleigh and Kenneth Williams, Samuel Johnson and Helen Fielding, The Faber Book of Smoking tells the fascinating story of one of humankind's most persistent and peculiar habits.